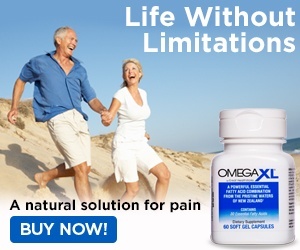 Omega Xl has alleviated most of my back and hip pain. The pain in my hip and back is a lot less than it used to be. By having less pain it makes my life and work easier. I used to get really bad pain at work in my back from carrying clothes. My hip would hurt from walking around at work because my right leg is longer than my left leg. I was putting ice on my back, and my hip for an hour and a half almost every night after work. 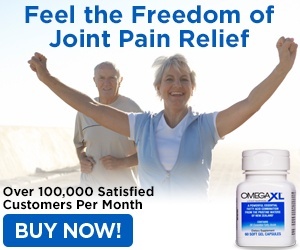 The Omega XL has helped 80%, and I put ice on my back and hip about half as often, and for half as much time. The pain is much less intense than before. I am going to keep using Omega XL. Review #1041231 is a subjective opinion of User1041231.